Welcome to VISIONSafe Limited, suppliers of quality personal protective equipment throughout the UK and Europe. VISIONSafe was first established in Perth, Australia in 1998 and has since expanded to include representation throughout Europe, the US, UK, South Africa, New Zealand, and more. Originally obtaining the license to sell the ‘Glove Guard™’ brand throughout the UK and Europe in 2004, VISIONSafe have been trading in the UK and Europe as Glove Guard UK for the past 8 years. We have now re-branded to VISIONSafe Limited and are able to offer a large range of quality, innovative safety products from our office based in Gloucester, England. We pride ourselves in our excellent customer service and product knowledge. 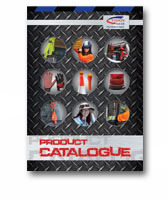 With our ever expanding range of unique, innovative products, VISIONSafe are at the forefront of safety supply. With the addition of the ACOT500 range of lighting from South Africa, along with our durable and robust ‘BOTTLECHOCK’ cylinder restraints from Australia, we continue to bring you the latest innovations in safety equipment from around the world. We welcome you to browse our website and call us should you need any assistance in finding a local distributor, or with any enquiries or questions. Speciality Work Gloves Improving workplace safety with Gripguard.